Hundreds of people have come out to support Zimbabwe's sacked nurses who have been holding a public clinic to demonstrate their lack of resources. The nurses' union had urged its striking members to take part in the events in the capital Harare and the southwestern city of Bulawayo. 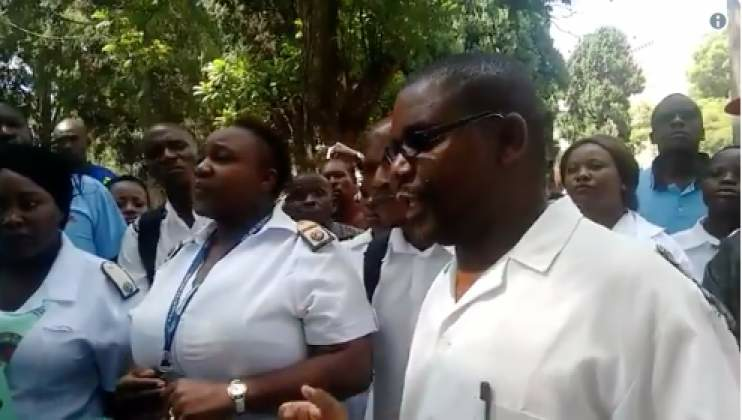 The government sacked 15,000 nurses on Wednesday after they refused to call off their strike and has begun the process of replacing them by recruiting unemployed and retired nurses.